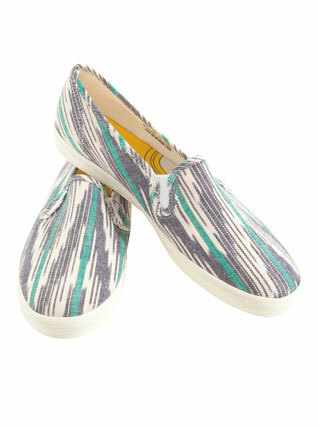 The Ikat trend has hit shoes! Keds did a great job of creating a summery, light and on-trend shoe. I saw these yesterday while out shopping in Hayes Valley and I’m surprised TOMS hasn’t jumped on the bandwagon. These would look great with cut off jean shorts and a relaxed t-shirt! The playsuit, the jumper, the romper. Whatever you call them, they’re stylish, playful, cute and incredibly diverse. 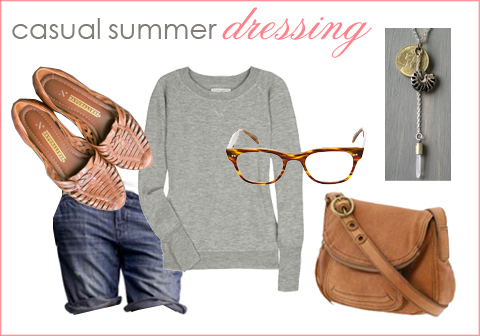 Pair them with long necklaces, bracelets and sandals. Crinkle Drawstring Romper, $49 at Arden B. If I had $1500 to spend now, this is what I’d buy. Philip Lim’s cashmere and silk sweater is soft and elegant with modern, cool details while the butterfly shorts are trendy with a retro silhouette. The Persol sunglasses fold in the center and stems and the Foley & Corinna purse is the perfect color for spring, summer and fall. Hello weekend! Butterfly Print Skirt Shorts, $60 at Topshop. Foley & Corinna ‘Mid City’ Tote, $395 at Nordstrom. 3.1 Philip Lim Beaded Silk & Cashmere-Blend Sweater, $525 at Net-A-Porter. Elizabeth & James Slam Sandals, $239 at Zappos. Persol Sunglasses, $360 at Sunglass Hat. Jilly Dress by Joie, $228 at Shopbop. Sunglasses by Marc Jacobs, $97 at Revolve Clothing. Vintage Stretch Belt, $16 at UnforgettableYou. Ikat Boho Sak by Cleobella, $94 at Shopbop. Diamond Coin Bracelet by Gorjana, $85 at Shopbop.